If you’d like to access one of our free Community Partnership Plans, apply on our website. If you have an issue with the form, please send an email to info@carnextdoor.com.au with the responses to the following questions. 1. What's the name of your community organisation? 5. What's your role within your organisation? 6. What are your organisation's goals? What is a Heavyweight Membership? A Heavyweight Membership is a premium, paid Car Next Door borrower membership. It means you’ll be able to borrow cars, vans and utes with no booking fees, and if you are responsible for damage, the most you’ll have to pay is a $500 Damage Cover Liability. Can we also get free driving credit? Unfortunately not - you’ll still need to pay for your trips (including petrol, tolls and any fines or associated trip costs). Can I be part of an international organisation? You can! However, our focus is on organisations that are contributing to positive changes within the local community. So you can be an international organisation, but your impact needs to have an local focus. Who can borrow on the plan? We’ll provide up to five free Heavyweight memberships per organisation. 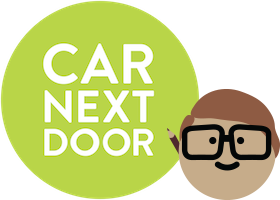 All drivers will need to be approved as Car Next Door members - you can join for free as a member in five minutes. Once your membership application is approved, we’ll apply the free Heavyweight plan. a) Car Next Door the right to use your content on our social media platforms and for other promotional purposes indefinitely and no royalties or other payments will apply for this use. b) You have permission from anyone appearing in the content for their image to be used by Car Next Door for promotional & related purposes. How can I contact the car's owner or the borrower who has booked my car?